You probably spend more time in your bedroom than any other room in your home. Since a third of your life can be spent in the bedroom it’s a good idea to figure out how to Feng Shui this space. The first thing you’ll want to do is place the bed as far away from doors and windows as you can. Also be sure to keep the bed out of line from a window-door connection. You don’t want the bed interrupting the chi flow between the window and door and sucking out your chi. If your bedroom has an attached bath then make sure the door between the bed and bathroom is always closed when you’re sleeping. This keeps chi from flowing out through the drainpipes. Another thing to consider with the bed is the importance of a headboard. The more sturdy a head board you have the more it will hold the chi up next to your head. Likewise it’s important not to have a footboard that could block the flow of chi. Still focusing on the bed it’s important to have a neat clutter free area beneath it. You want the elements to be able to flow. You don’t want to impede and cut the flow of chi around the bed. If you have nightstands and dressers in the bedroom then you’ll want ones that have rounded corners. This lets chi flow around it. Sharp edges can cut chi rendering it ineffective. If you share your bedroom with a partner be sure to balance the furniture out with the number of people in the bedroom. 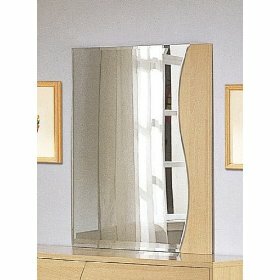 Finally you want to limit the use of mirrors in the bedroom. You don’t want anything that can reflect your image while you’re sleeping. 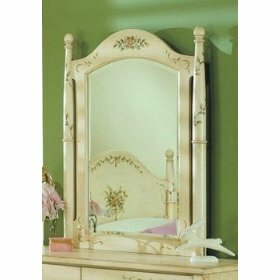 Instead look to place mirrors near a dressing area away from the bed. Nothing beats goose down for warmth. There are all sorts of comforter options out there from poly fill to feather. But nothing beats the cold like goose down. Cold winter nights call for warmth and the Royal Velvet Grandeur 370-Thread-Count Hungarian White Goose Down Comforter delivers. It measures 88 inches by 88 inches so it will fit perfectly in a duvet. It has baffles sewn through out the comforter so that you don’t have to worry about all the down filling piling up at one end. 370 thread count for quality means that the comforter has a really tight weave. You won’t have to worry about feathers poking out of the comforter and worse poking you or leaving little feathers around the room. The entire comforter is treated with an anti-microbial. You won’t have to worry about germs growing in it and starting to stink up the bedroom. Let’s face it nothing beats the feel of goose down; no other filling is more warm or comfortable for sleeping. It’s soft fluffy and cozy all at once. Of course with goose down it means the unit will need the occasional trip to the dry cleaners to keep it in perfect condition. The price of the Royal Velvet Grandeur 370-Thread-Count Hungarian White Goose Down Comforter can’t be beat. You get a lot of quality out of this comforter for a really great price. It has so many high end features that you just won’t find in other similarly priced comforters. It’s the added touches that make this comforter such a great buy. The anti-microbial coating, the high thread count, and the stitched in baffling, they all come together to make a great piece of bedding. Fleece blankets are a great choice to keep you warm on a cold evening. They’re versatile soft and durable. One of the great things about using a fleece blanket is you can keep the thermostat set at a lower temperature saving on heating costs. 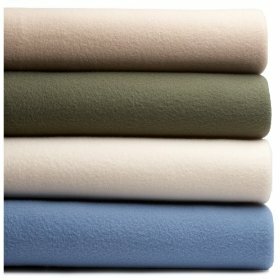 Martex Super Soft Fleece Blankets are a great choice for the home. They’re made from manmade material, polyester, so you get a great warm blanket that’s lightweight and easily stored once the temperature warms up. These fleece blankets work great as a couch throw or a lightweight bedspread. The Martex Fleece Blankets are super smooth and soft against the skin. They feel great to just curl up in for an evening on the sofa reading a book. These fleece blankets come in the standard sizes, from twin to king. You can find a blanket to fit any need from a kid’s room to the master bedroom. They come in multiple colors too, so matching them to a bedroom or living room décor theme is no challenge at all. Unlike big bulky feather comforters that you have to take in to be dry-cleaned these fleece blankets can just be tossed into the washing machine and then into the dryer. They’re durable and can stand up to every day washing. You get a lot of blanket at a low price. The Martex fleece blanket is an affordable bedding option. At this price you can afford to buy a few of them for use throughout the house. The blankets are super warm for their weight. Since the blankets are made from polyester and not a natural material such as wool or cotton they trap and retain much more body heat. We really like the versatility of the product line. Way too often we find a product that we like but it isn’t available in the color or size we want. With the basic color themes and standard bedding sizes there’s no issue with matching it up to a bed or décor. Nothing ruins a good nights sleep more than an old lumpy mattress. You end up tossing and turning all night and once you do finally get to sleep you end up waking up with a sore achy back. With times being as tough as they are these days though a brand new bed might be too much of an expense. That’s just one of the reasons that mattress toppers have become so popular. With a mattress topper you get all the benefits of a great nights sleep without the burden of a new mattress price tag. If you’ve lain sleepless in the middle of the night watching TV then chances are you’ve seen commercials that tell you how great memory foam mattresses are. Memory foam mattresses change shape to fit your body exactly. You’re cocooned on a nice comfy sleeping surface. One of the better brands of mattress toppers on the market are the Cloud9 100% Visco elastic memory foam mattress topper. When you’re looking for a memory foam mattress topper the biggest concern is how thick the pad is. Anything too thin will just act as an extra bit of cushion. You may find that you sink through the topper and still get those nasty pressure pinch points. So Cloud9 have a range of memory foam topper pads to suit individual requirements. Cloud9 recommend that anyone who weighs under 200lb, who is just looking for added comfort then they will be best suited with a Cloud9 2 inch 100% Visco Elastic Memory Foam Mattress Topper pad. Anyone weighing over 200lb is recommended to purchase a 3 inch topper pad. For anyone who weighs over 250lbs the 4″ toppers are recommended as being the best option for pressure point relief and comfort. The 3.3 Cloud9 Memory Foam Mattress Topper is SUPER SOFT being less dense and having a softer compression or ILD rating. The 4.3 Cloud9 Topper is slightly firmer and provides a little more support while at the same time remaining soft and supple with a slightly more supportive compression or ILD. 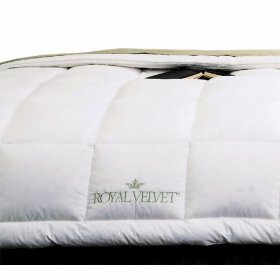 This is a comfortable mattress pad that will support your full body weight. No worries about sink through. The company stands behind its product with a twenty year warranty. You don’t have to worry about it wearing out in a year or two. The price is great too. You get the feel of a memory foam mattress at a fraction of the price. BUY NOW to experience a comfortable nights sleep.